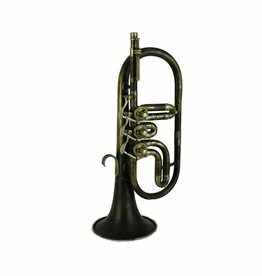 The helicon is considered the predecessor of the modern-day Sousaphone, which was developed in the 1890's. Eb soprano top action rotary cornet marked by Wurlitzer Bros. ca. 1872 and 1890.